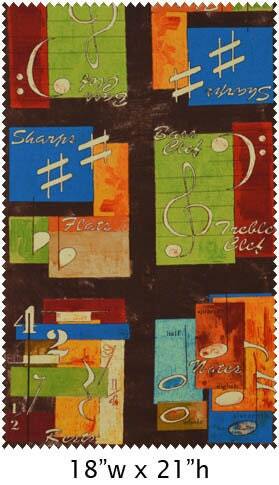 This beautiful panel is printed with music paraphernalia in warm, bright colors. The design features numbers, musical symbols, and elegant writing. "Color Rhapsody is a mod blend of funk and music. 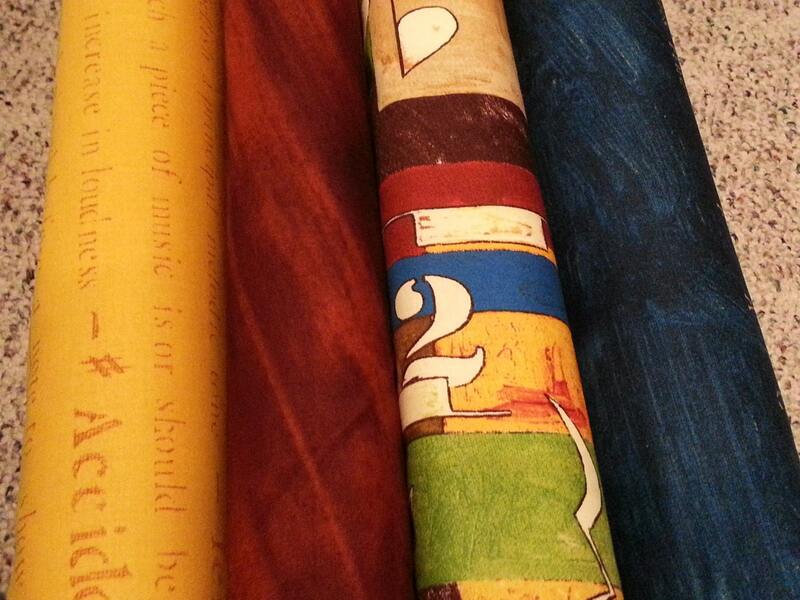 These colors are perfect for Home decor or a bag... anything! Get into the groove." This new collection is dedicated to all the music artists out there. a passion for music. Go ahead, sit back and listen. 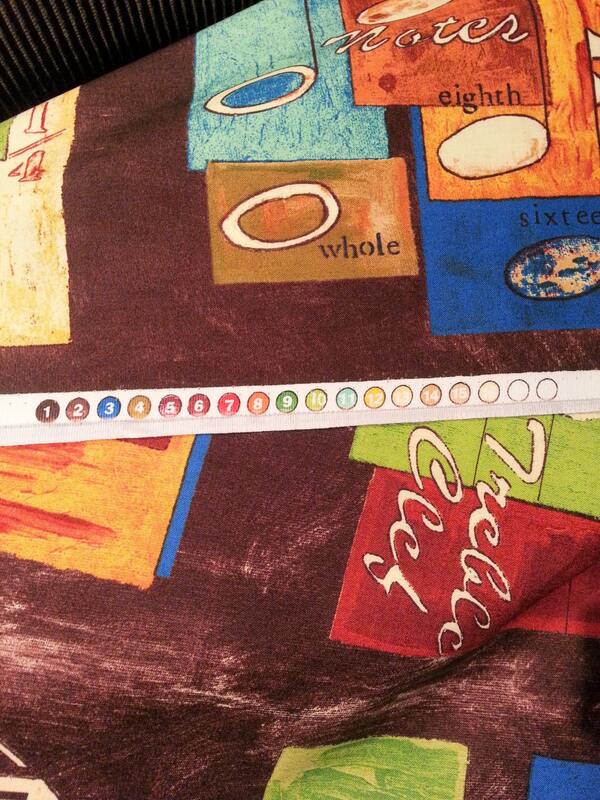 This listing is for a half yard, which contains an entire panel.